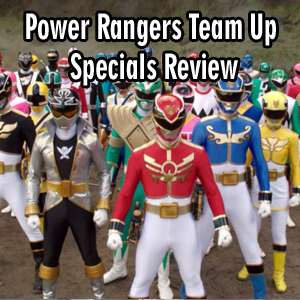 The Toku Secrets Team is back with a new podcast review on the various Power Rangers Team Up Specials over the years. We give you the good, bad and ugly of each team up from Forever Red and the In Space / Lost Galaxy Crossover to the Masked Rider and Teenage Mutant Ninja Turtles. 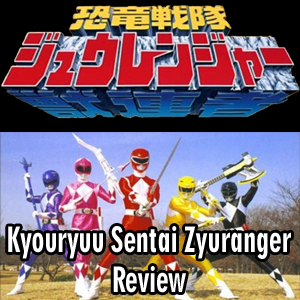 Toku Secrets is back with a review of everyone's favorite source material for Mighty Morphin' Power Rangers, the one, the only, Kyouryuu Sentai Zyuranger! You definitely don't want to miss this. In present day Japan, five young warriors from an ancient civilization of Dinosaur-evolved Humans are awoken after 170 million years of suspended animation when Bandora the Witch is released from her capture by two unknowing astronauts on the Planet Nemesis. The five warriors must come together, and summon the power of dinosaurs to release their Guardian Beasts, which each manifest into the form of a prehistoric beast to defend mankind from her evil. 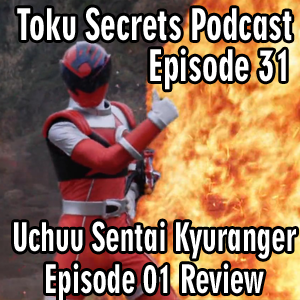 The 41st Super Sentai Team has landed, and Toku Secrets is here to give you the run down, on Uchuu Sentai Kyuranger! In the future 21st century, nine alien warriors are chosen and powered by the constellations: Lucky, Stinger, Naga, Ray, Hammie, Spada, Garu, Balance, Champ, and Raptor 283 in order to liberate the planet Earth from the Jark Matter organization.